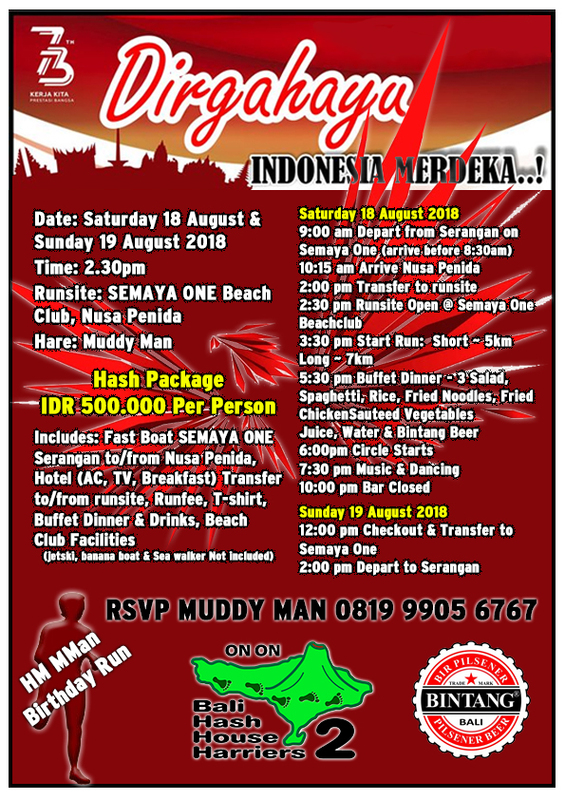 This year Bali Hash House Harriers 2 takes us to Nusa Penida for the 73TH Indonesian Merdeka run. This will be a great event which also includes the Birthday Run for our Hash Master Muddy Man. We will travel by Fast Boat to Nusa Penida on the SEMAYA ONE from Serangan Harbour to Nusa Penida for the run and party on Saturday and return to Serangan Sunday at around 2 pm. Don’t miss this special event and make sure to reserve your seat now.